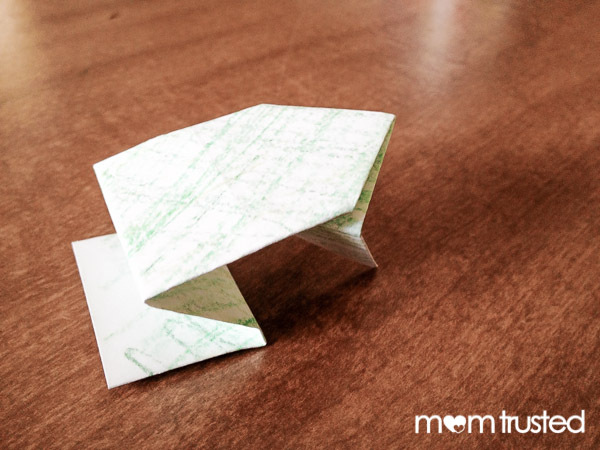 Today we made jumping paper frogs. 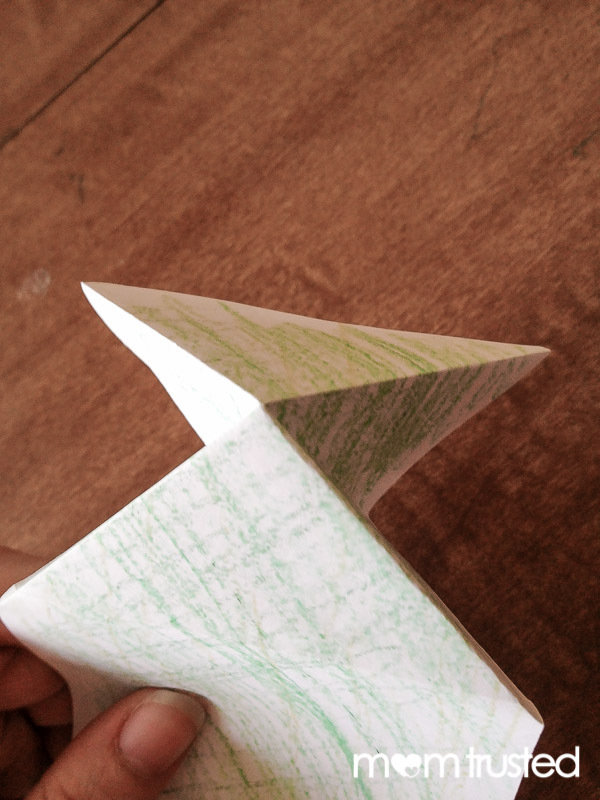 These are a very simple origami project that kids love, because they really jump! All you need is some paper and crayons or markers. I used small strips of paper, about 3×6 inches, but 3×5 index cards would work well also. 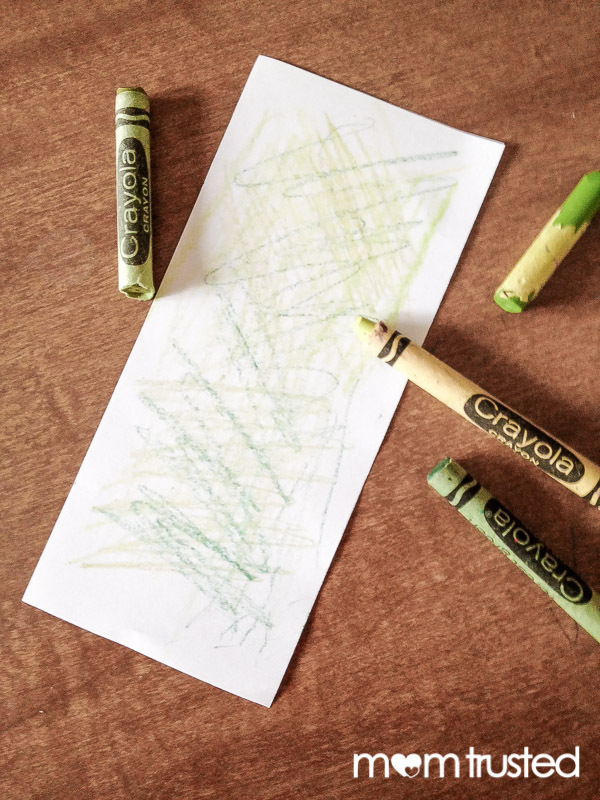 Start by having the children color the paper green. They can use all one shade or several different ones for a more interesting effect. 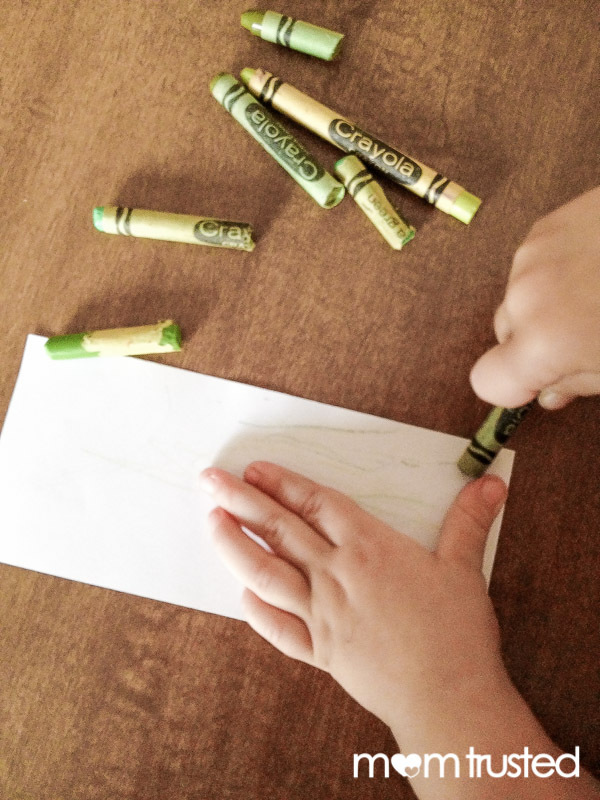 It’s great fine motor practice for them to try to cover as much of the paper as possible. 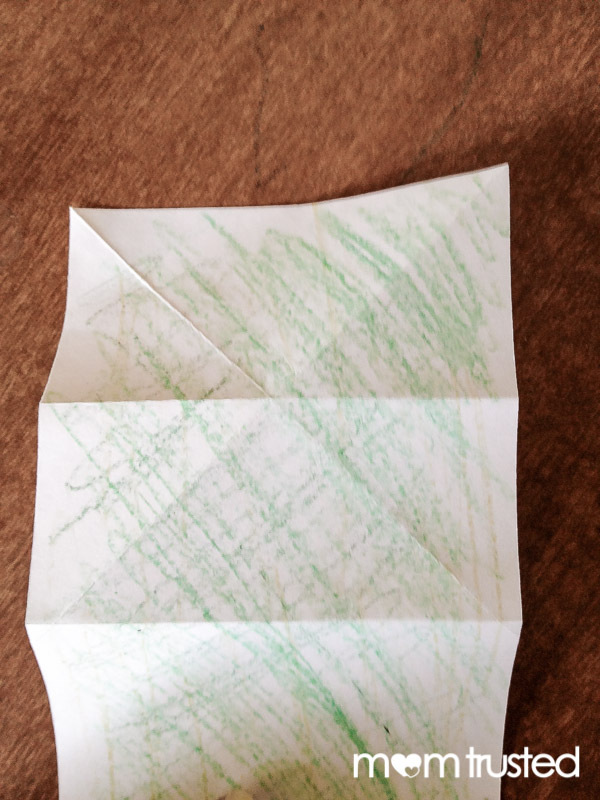 At least one side of the paper should be completely green. Now it’s time to fold the frogs. 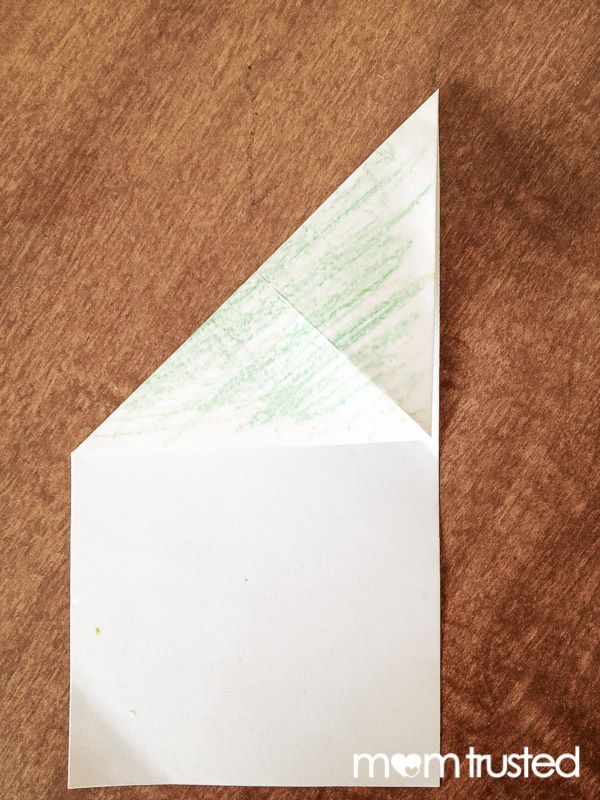 Turn the green side of the paper down, with the paper situated so it is taller than it is wide. 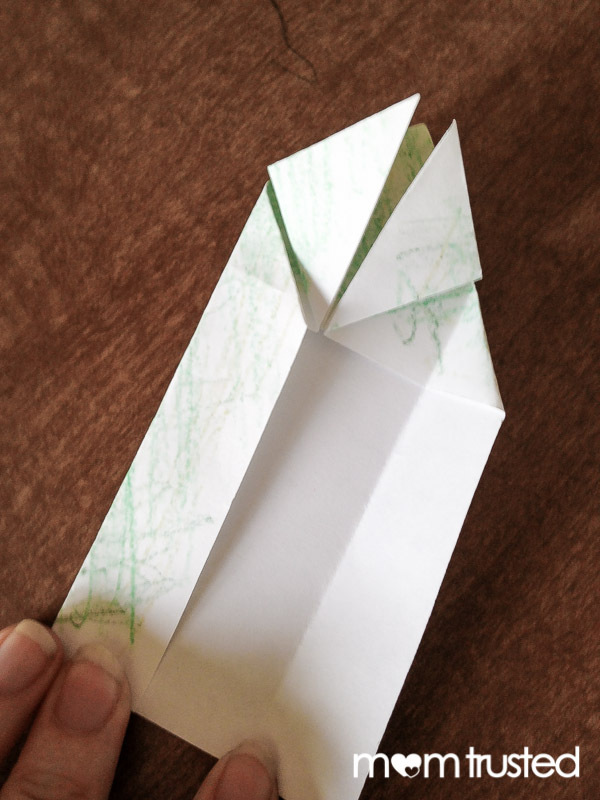 Fold each upper corner down to meet the other side, then up again, one at a time. 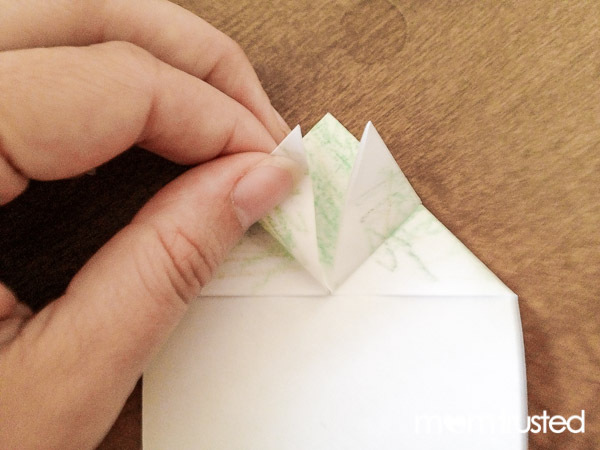 Then fold the top down to make a line at the bottom of the X. Unfold and fold it down again to make a line in the middle, as the pictures show. Then comes the tricky part. 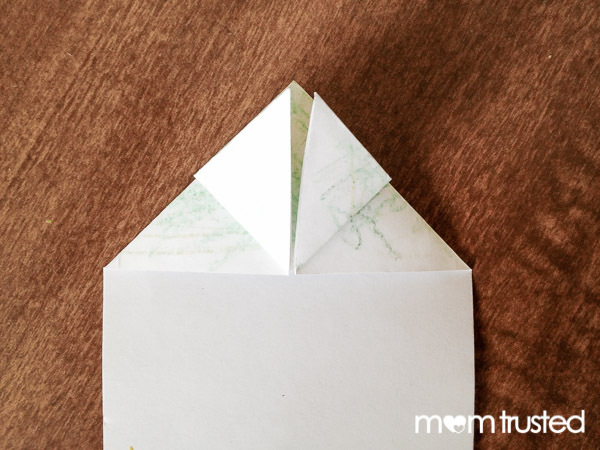 Fold the sides of the X inward to make a ‘pop-out’ triangle and press to sharpen the creases. (If you need more detailed instructions here is a great video to watch). 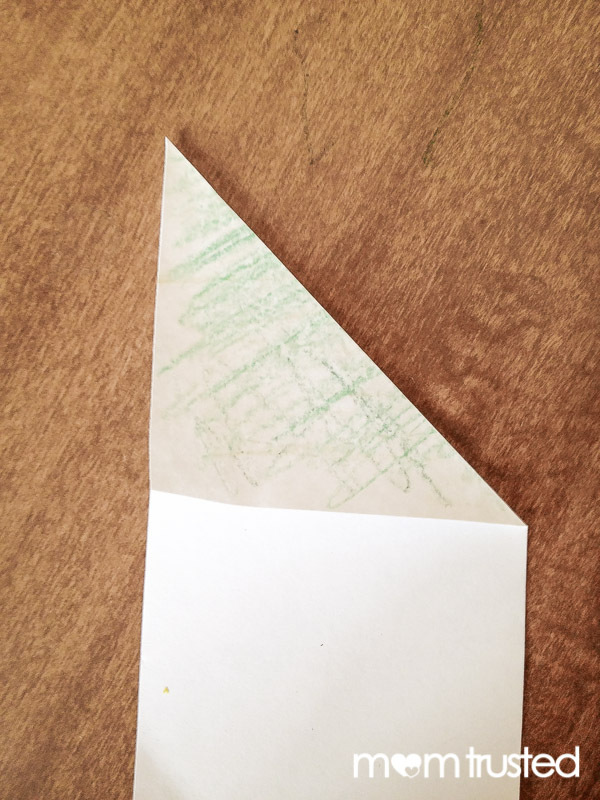 Turn the paper over and turn up the bottom corners of the triangle to meet the top point. These are the frog’s front legs. Next fold in the sides to meet in the center. 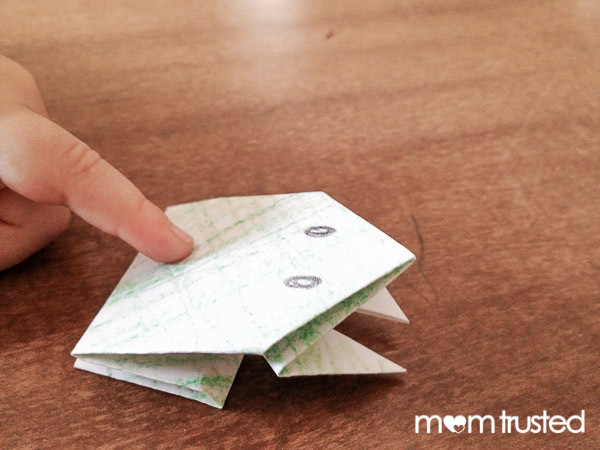 Fold the bottom (straight edge) of the paper up and back down again like an accordion to make the frog’s hind legs. There he is! You can add some eyes if you like (googly eyes might be fun!). To make him jump, gently stroke his back from the head down with your finger. My two-year-old could do it herself and was so impressed! 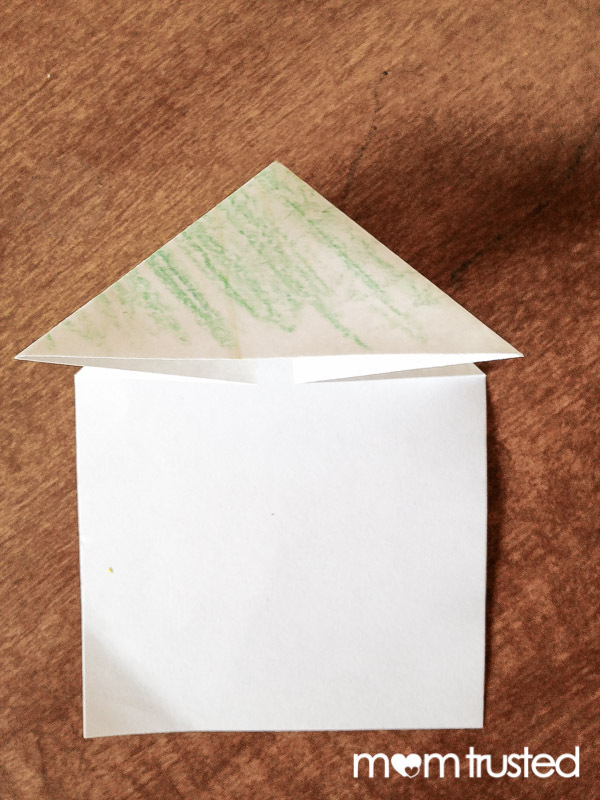 If your children are young like mine, you’ll probably need to do most of the actual folding, but the frog is simple enough that I think most five-year-olds could follow along while you fold an example. 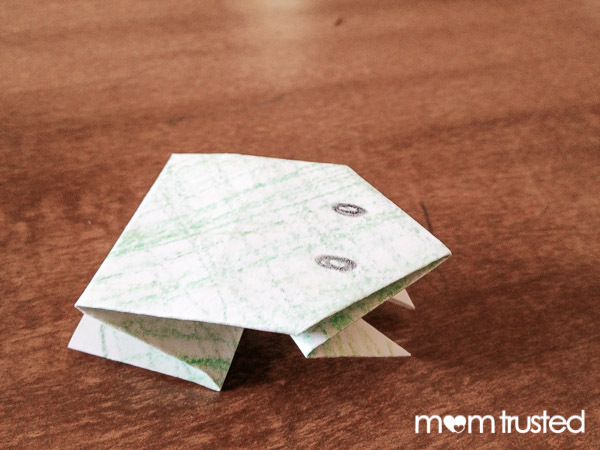 And no one is too young to enjoy the fun of a paper frog that really jumps! Here’s a super long picture for you to pin or save for later with all the steps that you’ll need to make this jumping frog.